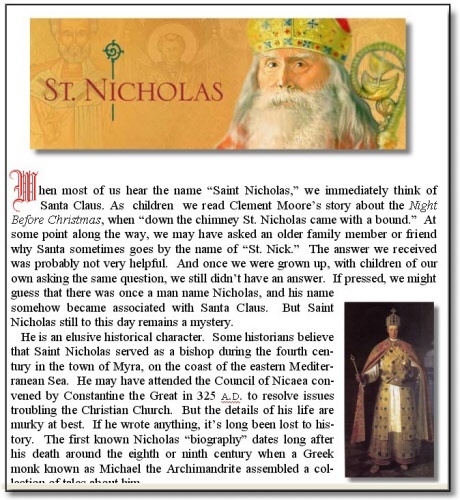 Who Was St. Nicholas? And What is His Connection to Santa Claus? 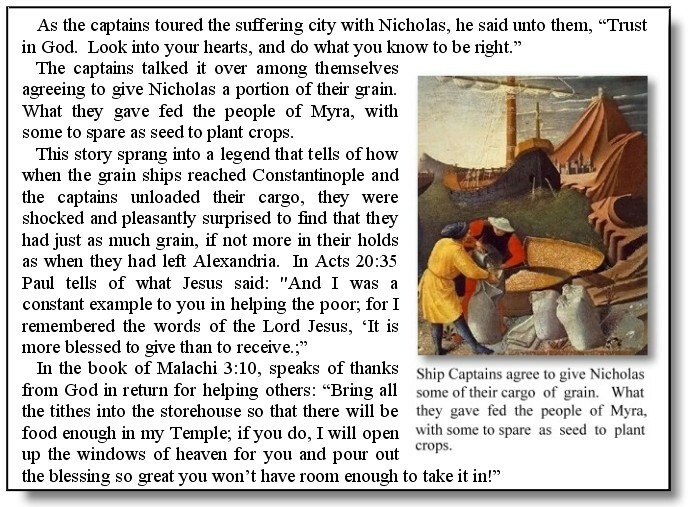 << Back Who Was St. Nicholas? And What is His Connection to Santa Claus? Together their reputations span centuries across continents. Their stories have been handed down from generation to generation. 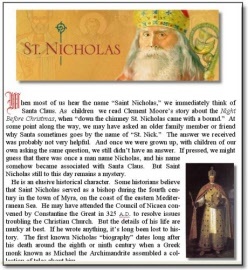 And yet, we know more about the mythical Santa Claus than we do about his ancestral origin Saint Nicholas. Though Saint Nicholas was a real bishop who lived in Asia Minor, and Santa Claus is his American alter ego, they share one common reality - their connection to a baby born in a manger in Bethlehem. 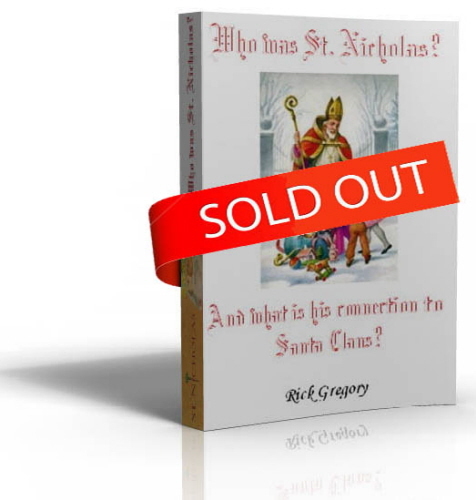 Author Rick Gregory traces the birth and life of one of America's most cherished characters of Christmas in this 62 page graphical biography of St. Nicholas. 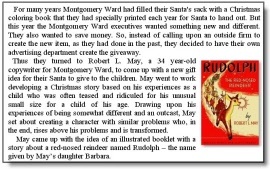 His birth, his life, his stories and his miracles are retold; and through his amazing life Rick uncovers the mystery of how we began to hang stockings above the fireplace, and why they are filled with gifts. How did St. Nicholas morph into Santa Claus? Why does he slide down the chimney? How did Santa begin to use flying reindeer? 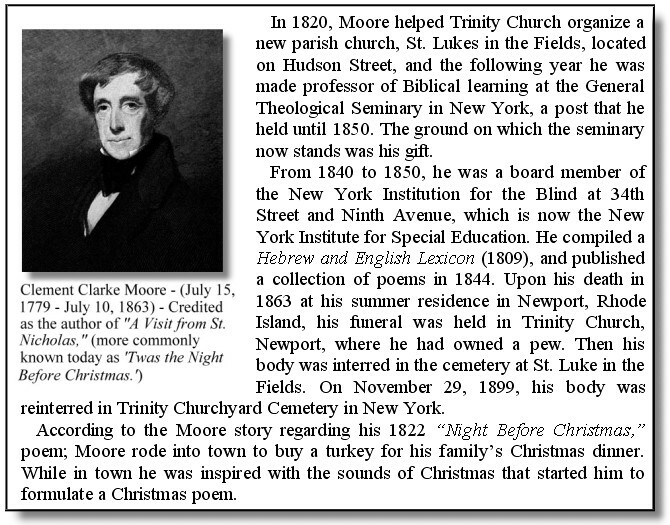 Where did the idea of Santa's elves come into our Christmas culture? Where did Rudolph the Red-Nose Reindeer come from, and what is the story behind "Twas the Night Before Christmas"? 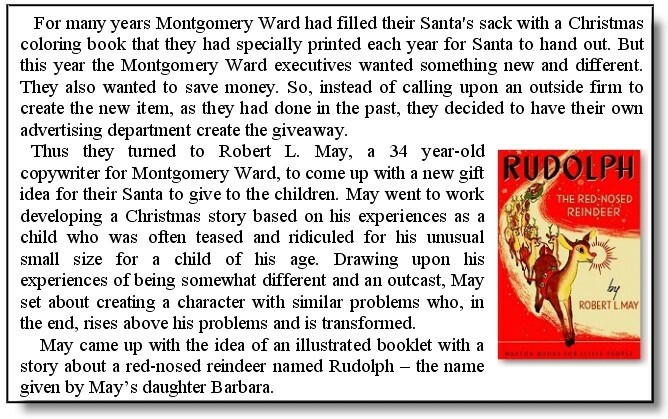 Rick answers these and many other Christmas legends by taking the reader through a Christmas story that will become a family tradition for generations. 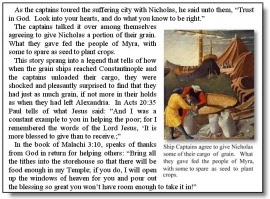 It is a story to be read by both adults and children of all ages. To be enjoyed around the Christmas Tree as a yearly family tradition. Read to children as a bedtime story. 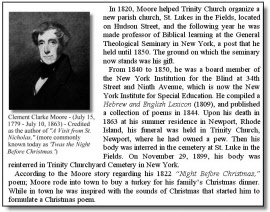 You will learn the true meaning of Christmas and why some wish to eliminate it from the public square - and why, after centuries of stories and fables, Santa and Christmas lives in the hearts of all of us.